Although it isn’t quite in the books yet, week 1 of 2017 was certainly an interesting one. There were upsets, injuries, and, to the dismay of over bettors, very few points scored. Here’s how week 2 is shaking up so far. All games have lines posted at Bookmaker now with the exception of Lions-Giants. I’d say this Sunday night rematch of last year’s NFC championship teams qualifies for “game of the week”. In week one, both teams’ offenses were held in check, but they both managed to come away victorious. The Falcons opened as three point favorites and if you factor in the value of home-field advantage, oddsmakers feel these teams are very evenly matched. 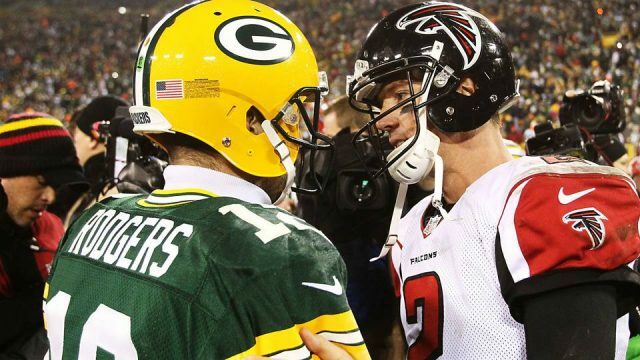 At Pinnacle, the game opened at 2 and has moved to 2.5 and it appears as if the line is trending that way at Bookmaker, as the Falcons’ line has moved to -3 (+105) with the Packers getting 63% of early bets. The total opened at 54, making it the highest of the young season. However, in a surprising turn of events, bets and dollars are both on the under, moving the total down to 53.5. Both of these teams played horribly in week 1, but there’s no getting around just how bad the Colts looked. Given Luck’s absence and their performance against the Rams, this line is 10.5 points different than the lookahead line posted in April — easily the biggest difference on the slate. I guess Scott Cooley was right when he said Scott Tolzien was one of the worst backups in the league. If Jacoby Brissett ends up getting the nod, I’d imagine the Colts get some more action. A pick ’em! Who would’ve thought that the Jaguars and Titans would’ve opened as a PK? The Jaguars played really well yesterday against the Texans, especially on defense. Jaguars set franchise record with 10 sacks, allow none. DE Calais Campbell with career-high four sacks. Meanwhile, the Titans only managed to score 16 points at home against the Raiders, including just 69 combined rushing yards from DeMarco Murray and Derrick Henry. Bettors jumped at the opportunity to take Tennessee and have moved the line to TEN -1 at Bookmaker and -1.5 at Pinnacle. Since -1 to -2 is kind of no-man’s land, I wouldn’t be surprised if this line reaches -3 at some point given the current trend. Clearly, bettors aren’t buying into the Jags’ surprising start. If you want dollar percentages, best bet picks, bet signals, and more, give our pro membership a whirl.